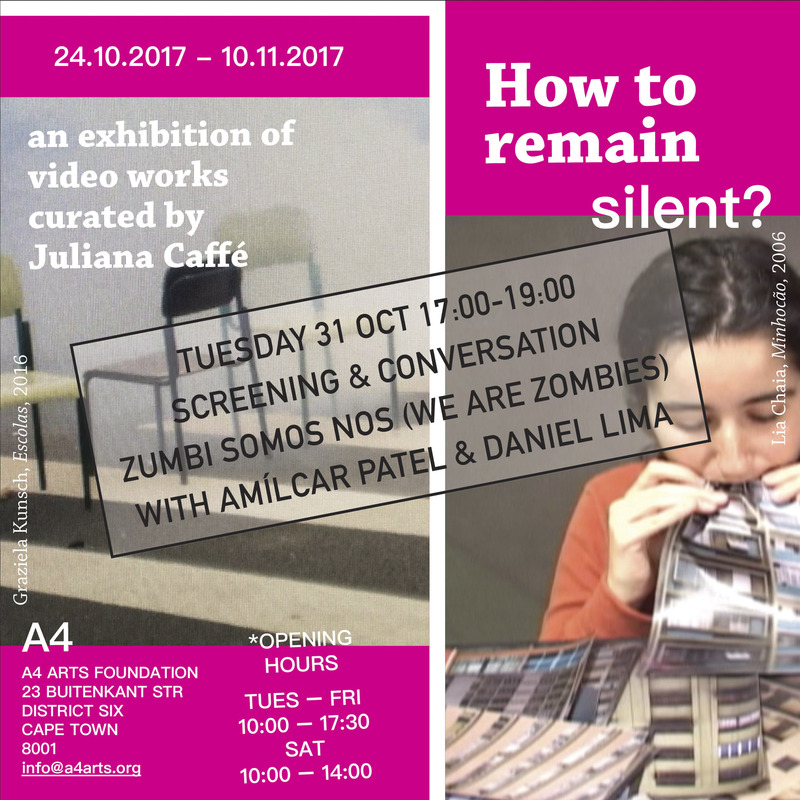 An exhibition of video works and publications, curated and edited by Juliana Caffé. 'Art and politics are profoundly entwined practices; the meet and intermingle constantly in the arena of social life. Part of the power of artistic creation resides in its ability to suggest new ways of experiencing the world, of creating new spaces and temporalities and of summoning the senses into asking questions, formulating problems and offering solutions that might change or chip awayat personal habits and social conventions. This politica side of art, which can broaden the way the world is comprehended as well as change it, makes its importance felt at times of crisis. This is also why art from a given period in history can account for that period itself. With contributions by Ailton Krenak , Berna Reale, Clara Ianni, Daniel Lima, Frente 3 de Fevereiro, Gian Spina, Graziela Kunsch, Jaime Lauriano, Jonathas de Andrade, Lia Chaia, Luiz de Abreu, Raphael Escobar, Renata de Bonis, Roberto Winter, Rodrigo Braga , Sato do Brasil, Traplev, Virginia de Medeiros, Julián Fuks, Paulo Fehlauer, Peter Pál Pelbart & #artepelademocracia.